Our aim is to develop novel and more efficient and environmentally-friendly propulsion systems. We research and develop technologies for optimising drives based on conventional engines, hybrid solutions, and pure electrical systems. 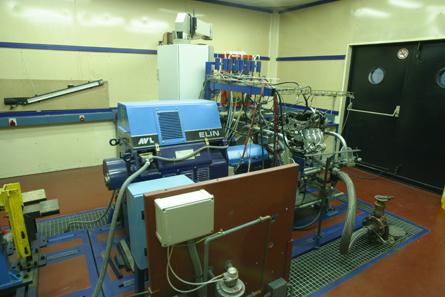 In order to improve performance and reduce polluting emissions, we perform research into and generate knowledge about combustion processes, new fuels, and new system and component designs for conventional engines. In addition to the appropriate simulation tools and codes, we have the right experimental facilities (fuel test benches and lab) to theoretically and experimentally develop and validate new designs. We conduct research into performance improvement, compliance with pollution regulations, the use of new fuels, component improvements, and auxiliary system optimisation, among other issues. 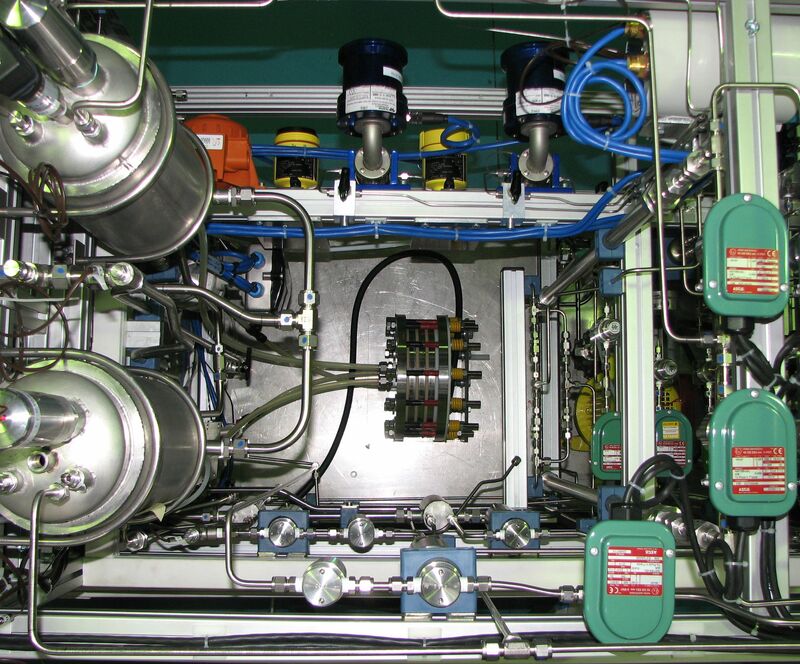 Engines for the combustion of low-grade biomass gasification gas.. 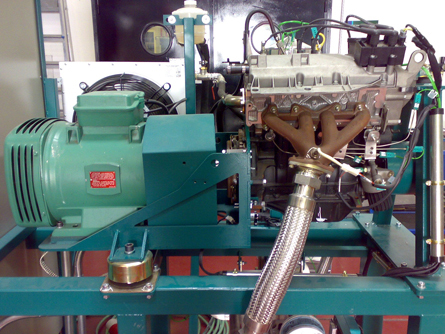 Engines for the combustion of glycerine and biomass mixtures. 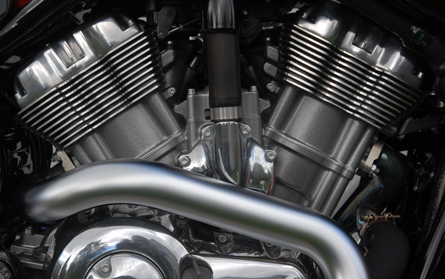 By combining simulation tools and experimental tools, as well as specific R&D techniques (chamber pressure analysis, infrared thermography, combustion diagnostics, PDA techniques and noise analysis), we are able to design and optimise engine components. The results we have obtained have allowed us to improve the designs and performance of elements such as EGR coolers, pistons, injection systems, and particle filters (DPFs). In order to validate these components, we design our own experiments and test tools, as well as our own theoretical models (combustion, polluting emissions, diesel spraying, wave dynamics in conduits, among others). The transition from current vehicles to future vehicles entirely driven by batteries or hydrogen will undoubtedly go through some intermediate stages. We understand as hybridisation the combination of different power technologies to design better performing propulsion systems. We research alternatives such as the combination of conventional engines with batteries, supercondensers or even fuel cells. It is worth mentioning that we are conducting ongoing research on increasing vehicle driving range based on range-extender solutions or hybrid solutions with components having high power density (supercondensers) and/or high energy density. For the rail sector we have developed a power plant based on fuel cells, batteries and supercondensers which can be implemented in small tram systems. We not only study hardware systems that allow to integrate and combine these technologies but also energy management models and strategies that make it possible to optimally dimension and combine different propulsion technologies. We are also looking into new component diagnostic techniques and methods in order to generate knowledge for improving component reliability and service life. 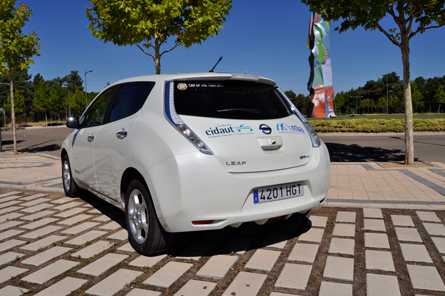 We are currently working on electric vehicle development projects that will be useful to demonstrate the electric drive technology and generate knowledge about the real performance of its related components and devices. We are analysing the performance of devices such as electric motors (under different configurations), batteries, range extenders, and electronic systems. In addition to experimental analyses, we perform analytical studies (consumption, range, emissions, etc.) by using calculation tools developed in-house which enable us to simulate the performance of different vehicle configurations according to real or standardised routes. 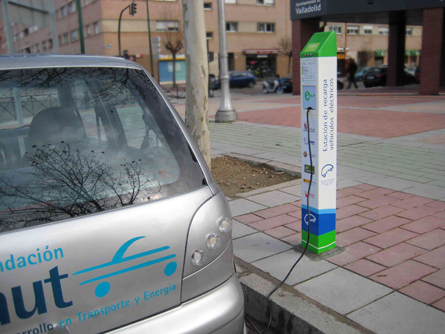 We also participate in projects related to the development and introduction of an electric vehicle charging infrastructure.